Cats love to get inside things, boxes, bags, suitcases and of course the coveted cat tunnel. Every time they come across a new object they can climb inside they can’t seem to resist going for a peek! I guess that’s where the phrase “Curiosity killed the cat” came from. On the bright side, these days we can satisfy feline curiosity at home with purpose built toys. Namely, cat tunnels! Tunnels are super lightweight, easy to move around and on top of this most of them collapse into a tiny little package making them easy to pack up too. They are well known for serving multiple purposes for your feline friends. They give them a new place to explore, a place to observe from, a place to hide and of course…a place to ambush their feline pals from. All in all they are some of the best toys money can buy, so let’s take a look at 13 of the best. Why Are Cat Tunnels Pawesome? Can Cats of All Ages Use These? Prosper Pet is hands down the most coveted tunnel on the market today. With well over 3000 total reviews on Amazon and an average review rating of 4.8 stars you know they’ve hit a home run with this product. You’ve got a tri-tunnel design with built-in crinkle crackle paper that makes noise for your kitties to keep them interested. The tunnels are spacious at about 10 inches tall, so there’s plenty of room for adult cats and kittens alike. The center has an awesome peephole for your cats to stick their heads out and it (the center) doesn’t collapse like many other tunnels. The end is equipped with a hanging toy giving the chute gives more ways to have fun, it provides hours of exercise & self-amusement. It comes in a bunch of different colors. The picture says 11, but last I checked it had over 21 different options available. It is made of extra durable and tear-resistant polyester wrapped around a sprung-steel frame with protective ends specifically designed to stand up to crazy cat scratching antics. It is super portable and comes with an elastic band to keep it collapsed during transit. It takes only seconds to shrink it down. Each tube, from the center of the toy, is about 17 inches long which gives you a little over 50 inches of total tunnel space. You can also check out this video of several kitties playing with a brand new Prosper Pet 3 way tunnel, they are having an absolute blast! If you’ve got cats that get bored of toys easily then this might be the best choice for you for a cat tunnel. Not only are you getting two different tunnels, but they have different toys attached to the ends and both are filled with crinkly fabric to make lots of noise as your fur balls run in and out of them. The long tunnel is a total of 35 inches in length. The short tunnel is half that at about 18 inches in length. 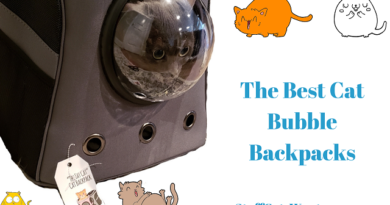 The longer term comes with a peephole cut out of the center so your cats can stick their heads out and see what is going on. Both tunnels come equipped with dangling toys on the end to provide extra entertainment. They’re spring-loaded and pop open to be ready for play in an instant. Since they’re spring loaded they can be collapsed for transit or to put away in a matter of seconds. This set is great for a single cats and even better if you have multiple cats and want separate places for them to be able to hide and pounce from. Pawz Road has released one of the coolest cat tunnels on the market with this S-Shaped tunnel. Most tunnels on the market are designed as a single straight piece of ‘pipe’ or ‘chute’ to ensure they are easy to expand and collapse. While straight tunnels work well it is always nice to see something new! The S shape is unique and cats absolutely love running through it from end to end, the curve brings an added level of agility. It has a built in peep hole so your kitty can easily see out from their hiding spot. It is designed with a sprung steel structure which easily pops out and collapses for so you can stand it up or take it down in seconds. This same sprung steel frame ensures durability when your feline pals jump on top of it, it’ll spring right back into form, no damage! Given the size it’ll easily accommodate both kittens and adults. This is a nice long tunnel coming in at 47 inches in length and a diameter of just under 10 inches. This video will give you an idea of what a cat might do when presented with this amazing tunnel! 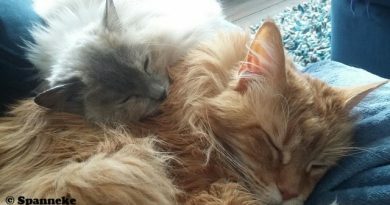 Easyology has been one of my favorite companies ever since I first picked up their awesome Cat Litter Mat (see review here). 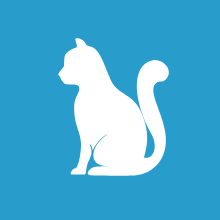 They make amazing cat products that are high quality and clearly well tested and I’ve had nothing but good luck with every product I’ve picked up from them. A simple connector is included with the tunnel so you can hook it up to other Easyology tunnels or to their Zen Den Bed. While things are specifically designed for Easyology you can probably connect other tunnels to it with relative easy as well. Each tunnel is about 13 inches long (from the outside of the center) and about 8.5 inches in diameter. It will easily accommodate most adult cats. It of course has built in crinkle fabric to make lots of noise for your kitties! It is incredibly durable and will stand up to all sorts of cat antics, jumping, pouncing and even scratching! You can also check out this awesome short video of a couple of different cats playing with the Easyology tunnel and love it! Pawaboo brings to bear another awesome cat tunnel that comes in a variety of different colors to match your home decor. Pawaboo makes a solid tunnel that will easily appeal to both kittens and adult cats. There are of course the 3 spacious tunnels that connect at the center. It has a peep hole and hanging ball toys and bells in the middle to encourage curiosity and keep your cat entertained for hours. Each of the tunnels measures about 38 inches long from the center point and they are about 10 inches in diameter. The dark color minimizes light inside and appeals to your cats instincts to hide, stalk, pounce and chase! All great for cat health. It has a strong sprung-steel frame with protective ends wrapped with tear-resistant polyester to keep your kitty safe from sharp edges. This cat tunnel is durable and comfortable, no need to worry about scratching and deformation. This cat tunnel pops open in seconds and can be folded easily and secured by the provided elastic band for easy storage and travel. Purrfect Feline was one of the first to the market with the 4 way cat tunnel. A pioneer in the space of cat tunnels if you will. While they were the first to the market with the 4 way tunnel that didn’t stop that from producing a well thought out and high quality product. They definitely learned from other products that came before them! Each tunnel running from the center out to the sides is 21″ long which gives you a whopping 84″ of tunnel total! The tunnel features crinkle paper to keep your kitties entertained as they run through it. There’s also a ball toy attached to the end of the tunnel and a peephole giving your cat plenty of entertainment. As an added bonus there are ties built onto the ends so you can easily connect multiple tunnels together to create a maze! The tunnel is collapsible to under 2″ in height so you can easily take it with you wherever you like to bring a taste of home for your cat. The frame is steal and wrapped in tear-resistant polyester that will not only keep it intact, but will also hold strong while your furry friends are playing inside. If you’re looking for an incredibly economical tunnel then this is it. At the time of writing this the tunnel is a little over 8 dollars which makes it by far the most affordable tunnel in the entire list! But don’t let that fool you, that takes nothing away from the quality of this tunnel and how well it will entertain your feline friends! The tunnel has hidden crackle material built into the walls to intrigue and engage cats. It has a built in side or top peep hole depending on how the tunnel has rotated, great for ambushes and pounces! The tunnel is collapsible and pops open in an instant or breaks down just as quickly for storage or transport. It has ties built onto the ends so you can’t lose them. The tunnel measures 34” long x 9.5” diameter when it is fully expanded. When collapsed it is about 2” long. SmartyKat has been around for years and produces tons of great products, when you buy from them you know you’re getting quality. Myguru followed in the footsteps of Purrfect Feline and went after the 4 way tunnel market. They’ve had a great success so far with their tunnel. Their key claim to fame is they have by far the biggest tunnel on the market in overall tunnel space, a total of 104 inches of tunnel length! One of the few four way tunnels on the market, each tunnel chute is 26″ long. With crinkle paper inside the walls this tunnel will entertain your cats and maintain interest for hours of fun! The tunnel is made of ultra-strong and tear-resistant polyester, the tunnel is fully usable both indoors and outdoors. The tunnel will stay in great condition even if your cat scratches it and center does not collapse like many cat tunnels! The frame is made of sprung steel and has protective ends to make sure there are not kitty injuries! You can easily hand wash the tunnel if it gets filthy from the cat or from outside weather. A ball toy is attached to the end for both batting and to make noise as your kitty runs in and out. It comes with a storage bag meaning it is super easy to transport wherever you want to take it. We’ve already discussed Pawz Road above, but the claim to fame on this version is obviously the amazing cheetah or leopard print coloring on the outside. Just kidding! It is that this particular model is the longest single tunnel I’ve been able to track down. It has a strong & solid sprung steel frame that both pops up and collapses for easy storage. The inside is faux fur with a durable leopard print on the outside. The fabric also makes crinkle noises! There are two peep holes built into the middle so your cat can pop out or hop out! There’s so much room in this tunnel that even large cats can turn around easily. Built in linking buttons make it easy to connect multiple tunnels together to create a true maze! The Hide and Sneak is definitely the most novel of all of the tunnels out there. It is also the most environmentally friendly in that it is completely made of paper so it is 100% biodegradable. The Hide and Sneak is a cat tunnel that is is made of 100% paper, similar to the paper you’d get from a shopping bag. Admittedly it is quite a bit tougher than that! There’s a TON of room inside this 12 x 12 square tunnel, plenty for even the largest of kitties to run in and turn around. It is about 32 inches long when fully opened up. It folds up and folds out super easily for storage or for immediate access. It is 100% handmade in the United States of America and was designed by a veterinarian. This is a square tunnel not a round tunnel, it will not as easily flip and roll if your cats pounce on it etc. Trixie Pet is known for all sorts of creative and unique combinations of cat toys and other cat products. The key claim to fame on this model is it is specifically designed for your cats to scratch it up. It isn’t made to just withstand it, it is designed to encourage it. It has to built in hide away spaces with excellent scratching surfaces built right in. At a solid 43 inches long there’s plenty of space for a single cat or multiple cats. There are built in hanging toys at the end of the condo to encourage batting and playing. It collapses down on itself, but is not designed specifically for transport like the polyester sprung metal versions. Auoon has come to market with a creative version of the cat tunnel that is more a cat circle than a standard straight tube. This model zips together at a couple of joints to create a donut shaped tube for your kitties to hide in, play in and run through. It is by far one of the coolest models out there and it is definitely unique. There are two zippers allowing you to close up the donut shape leaving only the one entry point. A hanging ball toy is at the entrance to encourage batting and swatting. Multiple colors are available, though the primary choices are yellow and pink as of writing this article. Little ear like extensions are on the side for rubbing and biting and swatting. If you’re creative you can order two and zip them together into a large S shape with two beds! Most cats start exploring the tunnel before you even get it zipped together. Eyourlife has come out with one of the other most successful tunnels on the market. While it isn’t the most easily understood company name, it does provide an excellent cat tunnel your feline friends will absolutely love! It folds down into about a 12 x 12 square that is about 3 inches thick. It is super easy to carry and super lightweight. The elastic band will keep it in fine form while it is in transit or storage. Similar to most models it is made of polyester and has a sprung metal frame holding the ends open. It is worth noting the center of this model is not supported by the frame (you can see this in the picture) so if your cats jump on it it will collapse until you pull the ends back out to stretch it out. It won’t damage it, it is just more prone to looking caved in than some other models. Cat tunnels are amazing toys because they play on numerous natural instincts that your cat already has. Tunnels are simply incredibly versatile products that help fill a lot of gaps for cats. Cats are notoriously curious creatures. They love to go exploring and while they certainly don’t like huge changes they definitely love to check out new places in the house or slight changes in the house. Enter cat tunnels. Tunnels provide a new space in the house that can easily be moved around to always have some level of novelty. You can also easily pack them up and put them in the closet or a drawer for a few days or a week to help maintain the mystery when you bring the toy back out! Cats love to hunt. It is a natural instinct. You’ll see them do it with their toys and even with their fellow cats in the house. From the minute they are old enough to pounce they are practicing their hunting skills. Tunnels not only provide excellent places for your cat to hide and to stalk from, but they also provide an amazing place for your cat to pounce and ambush from. Whether it’s an open paper bag or a box, your cat likes to keep herself entertained throughout the day. They’ll often make their own games up and bat their toys all over the place or jump off of the wall. Tunnels provide an excellent distraction for your cat in the sense that they are a new space and they are often equipped with built in toys. Many have built in crinkly paper to make new noise and almost all have hanging toys built into the ceiling for your cat to bat and swat at. Last but not least, most tunnels are somewhat see through and you can drag a wand or a finger down the outside and your cat will attempt to pounce on it. 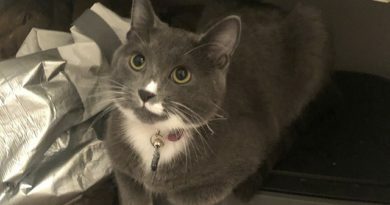 If you have a new cat that spends most of her time under the bed or in the closet then a tunnel might be a good option to help her come out of her shell. Tunnels can be placed in strategic locations that are closer to humans so your kitty will come out, but they give an added level of safety for your cat as well because it minimizes the number of ways people can approach her. 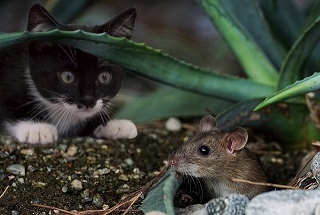 The use of tunnels will allow a frightened cat to be able to feel protected enough so she can start to step out from her anchored hiding spot. Depending on the amount of room you have and the curiosity of your cat you can easily create an entire maze or a cat tunnel system. Most of the tunnels can easily be strung or clipped together even if they don’t come with the parts. This means you can always switch them out to create new and novel shapes for your cats. I didn’t specifically note it, but many of these tunnels can be used indoors/outdoors. Any tunnels made of polyester and metal sprung frame can definitely be used outdoors. That being said, I wouldn’t leave them outdoors if they aren’t currently in use. If the weather changes it can certainly damage them and on top of this most of these tunnels are designed to be super lightweight and can easily blow away in a strong gust of wind. On the bright side, polyester is generally very easy to hand wipe or hand wash if the tunnel does get dirty. Just grab a wet washcloth and you can scrub most substances right off of the tunnel. Can Cats of All Ages Use Tunnels? Cat tunnels are generally designed to handle adult cats, but kittens can easily use them too. I’ve not seen any kitty tunnels specifically, but every tunnel can and will accommodate small cats or even young kittens if necessary. Some of the biggest users of tunnels are cats that are older or even senior. They love the quiet and safe space tunnels can provide for sleeping or just relaxing. The only thing I’d be careful of is choosing a tunnel that will accommodate the size of your cat. Big cats definitely require bigger tunnels. The best two tunnels above for big cats are the Hide and Sneak and the Pawz Road Extra Large. The market is loaded with all sorts of ways to entertain your cat these days. From remote controlled toys to apps to traditional tinkling bells. Every time I pop open Amazon or surf a pet site I see something I never would have expected. And I’m cat crazy so I normally consider myself on top of it. Every toy has its uses and some cats will certainly be drawn to one type more than another. Cat tunnels do seem like one of those toys that are universally loved by cats. Given this they are a great option to consider whether you’re a new or an experienced cat owner. Don’t be afraid to experiment and see what works for your cat! If you have any cat tunnels you love then please please leave a comment below! Or leave a note below so we can get some pictures of your crazy cat maze at home! I like the video which is cute. My neighbor has a cat and these tuneels look like a perfect present. Glad you found it helpful! I’m sure your neighbor would love the tunnels for her cats! We have two cats and they love such tunnels. They hide in it, play in it, catch each other. Such tunnels are fun stuff for cats. Great info, I like that you give a lot of options also for different budgets and sizes. For instance, I live in a very small studio and I can see that my little kitten needs something different than toys and indeed one of his favorite places is inside a box that was meant to be trashed but now he uses it all the time so the box is pretty much destroyed at the time. I think one of this tunnels will make wonders for him, what I loved about it is that you can easily pack them for holidays. Thank you very much for such a thorough article I’ll let you know how it worked for my fluffy baby. They are super convenient given how easy they are to pack up. Far easier than a lot of other toys I’ve tried to transport or to wrap up quickly when I have company coming over. Good luck! I hope your kitten loves the new tunnel. These are some really cool looking tunnels. My cat has the tendency to turn everything into a toy, so I have no doubt that he would enjoy some of these. Funny how much they tend to turn things that aren’t really toys into toys. Mine love to knock down pieces of folded up paper and chase them everywhere…It can drive you nuts trying to track it down once they’ve messed with it and whacked it under the couch! 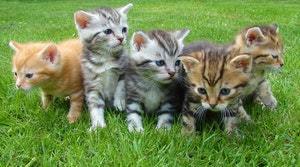 Never mind the kitties…I want one! These look like so much fun and I know my cat would love tunnels like these. I think the round one with the cat bed and the one with sisel would have been popular. I have not read all of the reviews that you have, but are there any vertical attachments that a person can get? Or do you recommend a way to take the kitty fun up? Great question! I’m actually in the middle of writing an article on cat castles/trees! As soon as I get it posted I’ll be sure to add the link here for you. But generally, a cat tree at the base of the tunnel is the best thing I can think of! They are a riot. They just love getting into places they can pounce on people from! Some fantastic looking cat tunnels here. I have 2 cats that are more like dogs in that they will retrieve a ball and bring it back to you! 🙂 Do you think that tunnels are really just for kittens or do you find that adult cats play in them too? I know my cats sometimes have what we call a ‘mad half hour’ in which they just run around or chase things. Just wondered what you thoughts on that were. Haha, I call the mad half hour the zoomies! I picked it up from a guy on Quora one day. I just loved the word. That being said, my adult cats love their tunnels. Kittens love pretty much any toy, but I’ve found my cats like to hide in the tunnels and pounce on each other. You can also use them, like the Zen Tunnel, to create a fully hidden away house/place for your cat. Love these cat tunnels and was just wondering how long it will take a nervous cat to try it? I haven’t seen these before, but they look like a great way to entertain your little fur balls. I love the different looks and designs, and the long wiggly one looks the most exciting to me. The leopard print one is really attractive. Looking at the last one on the page gives me the idea to try making one out of cardboard boxes for my cat to try first before going to the expense of buying a tunnel that he doesn’t want to use. It’ll depend completely on the cat to be honest. There are a few things you can do to speed it along though. You can spray it with Feliway Spray which can help make it seem more inviting. You can also do things like take a blanket that your cat sleeps on and put it inside the tunnel. This will help it seem safer to your cat as well. I should also note that cats in general tend to love small enclosed areas. The research shows it helps them feel safe. Given this a lot of cats may go right inside the tunnel from day one and use it as a ‘base of operations’ for exploring the rest of the house. Thanks for writing this on review on cat tunnels. I must commend you for taking your time to bring out the best of the best quality cat tunnels for this review. Some of the advantage of cat tunnels is that when the cat runs up and down in its tunnel it is able to stretch its muscles at the same time while having fun. This keeps your cat fit and in good shape. It also reduces the chances of your cat getting sick since it is active. Your absolutely right. 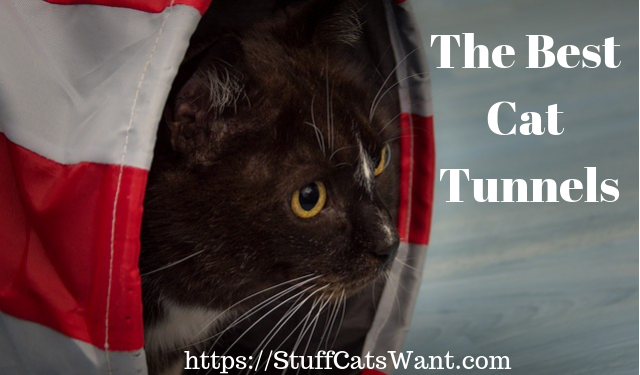 Tunnels go hand in hand with all sorts of other toys that will help keep your cat entertained and healthy! I use them in conjunction with several of the toys listed here to keep my cats slim and trim! I went to your About page and met Beast and Lexi, a really pretty pair of cats. I am amazed at the variety of things one can buy for our house king or queen. Your post on cat tunnels was fun to read and I am sure fun to them using it. I personally like the Paper Cat Tunnel because it is 100% biodegradable. My second choice would be the one with the central bed. I bet my cats are now waiting for me buying them a fun tunnel. Haha! Thanks for your compliments on Beast and Lexi. They are adorable little fur balls, even if they are annoying as can be from time to time! The paper cat tunnel is certainly a great option for the environmental friendliness! Let us know how it works out for you if you decide to purchase. Cat tunnels were so versatile! Your review is so helpful in that one can easily select a tunnel that suits the personality or peculiarity of one’s cat. I would like to confirm, I hope there is no chance of a cat suffocating with The Hide and Seek Paper Tunnel considering that its made with paper. Thank you. I’ve never heard of a cat suffocating in any cat tunnel before. I’m not quite sure how that would happen to be totally honest! My understanding is the tunnel is totally safe and there shouldn’t be any risk of suffocation.